I love politics. I’ve been out of elected office now for almost 8 years. I still feel the adrenaline I felt when I was first elected when I meet with young candidates who have the same passion for public service that I do. When their eyes light up discussing the challenges we face in our community and their opinions on solutions to those problems, I get chills. I’m impressed with the caliber of young women who are seeking public office and the energy that they possess towards reaching that goal. 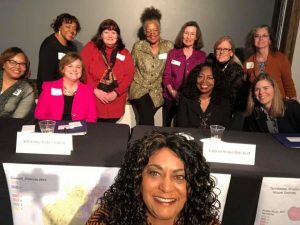 I joined the inaugural EMERGE Tennessee Board of Directors and currently serve as the 1st Vice President of the National Women’s Political Caucus and VP of Communications. I’m committed to recruiting, training, advising and electing women to elected and appointed offices. I want women to understand that there is a double standard for female candidates. Know that going into this public service arena. If you can make women know that you are serious about your goal of serving and get them to see your drive and desire to serve and do what’s best for your community, you may be able to win them over. Figuring out what are those issues that are important to them, you may be able to win their trust and vote. If you can convince men that you’re not trying to be a man, but a confident woman that is as or may be more qualified than the male candidate, and will be fair and just across the board, you may be able to win them over. The first step is deciding to run. My next blog post will focus on what to do next. Stay tuned….